As temperatures heat up and summer music begins to flood our all of our Spotify feeds, many have the season’s upcoming festivals on the mind. From Governor’s Ball to Lollapalooza, the warm weather also brings festival style that is wild, bohemian, and full of fashion forward aesthetics. In honor of Coachella, one of the most iconic annual festivals that the United States has to offer, we wanted to check out some of the best festival accessories that the industry has to offer! This musical event’s two weekends of fun make for many Instagrammable moments, so read on to see how we here at TalkingFashion would accessorize our festival fits to stand out in a sea of flower crowns! Stylish sunnies top our list as one of the most necessary festival accessories for reasons we feel are quite obvious. Protecting your eyes from the sun and accessorizing your festival fit to perfection can be done in one foul swoop using a great pair of cool girl frames. Never miss a moment of the fun blinded by the sun! Keeping track of all of your items in a large crowd of people may seem like a daunting task, but with the help of a hands-free bag, all of your stuff will be safe and secure! Carrying around a cross body bag is another great alternative, but with a fanny pack secured tightly around you waist, you’ll never have to worry about losing the bag itself along with all of its contents! Western-inspired looks are extremely common at summer festival events, so why not participate in one of the season’s hottest trends and add a little western flair of your own into your festival fashion fits? Large belt buckles, cowboy hats, fringe, and turquoise are all easy ways to incorporate this cowboy aesthetic into any outfit without looking like you came right from an episode of West World! We have seen a huge headscarf revival this spring season, and we think that scarves are a great way to take any outfit to the next level in one easy step! Whether you choose to tie one around your neck or use one a way to keep your hair from flying in the Valley winds, a scarf is sure to be one of the “it” festival accessories for summer 2019. When it comes to what jewelry compliments bohemian festival style the most, I always look for long, stackable necklaces to bring the heat! This style can make you look as if you an accessories aficionado without much effort and can offer a pop of color to a light, flowy fit. If you are like the thousands of other music lovers gearing up for a summer full of festival fun, you may be left in a panic wondering how you are going to come up with enough fashion-forward festival fits to last the whole season! Fear not, fashionistas; we here at TalkingFashion are here to tell you whos who in festival fashion offering great aesthetic inspiration. From Vanessa Hudgens to Gigi Hadid, many Coachella Valley patrons cut no corners when it comes to creating the perfect bohemian look fit for the runway, so read on to see who else is using the festival grounds as their own personal Insta-set to showcase their best Coachella-approved looks! As a festival regular, this fashionista knows the whos and whats of creating the season's most Instagrammable looks! We love her western inspired bag and her bangles create the perfect pop of color in her otherwise minimalist outfit! This NYC based best selling authors trades her pen for cowboy boots to saddle up for festival season. We are OBSESSED with this kitschy dress and love her use of layered necklaces to complement the look! This member of Forbes 30 under 30 list spares no expense when it comes to creating the perfect festival fit. She is right on trend with her use of the uber popular hair accessory and love the pop of pink with her cool sunglasses that immediately caught our eyes! As the human embodiment of cool girl style, Aggie Lal lets her LA roots shine through with her festival style. Look to her Instagram if you have an affinity for California chic aesthetics with a hint of grunge and good vibes! This West-coast girl's effortless style climbs to new heights during festival season, with her squad of chicly dress pals being one of her most stylish accessories. Whether she's sporting a cow print bikini with leather chaps or a bohemian mini dress, she knows how to work the weather and use Coachella Valley as her own personal runway! If these Instagram fashionistas have you inspired and ready for some festival fun, check out our latest blog post detailing how we can help you gear up for all of your favorite music events this summer! If you haven't followed any of these fabulous fashionistas already, head to Instagram now for even more of their amazing looks! For more festival fashionista's check out this article from Husskie! 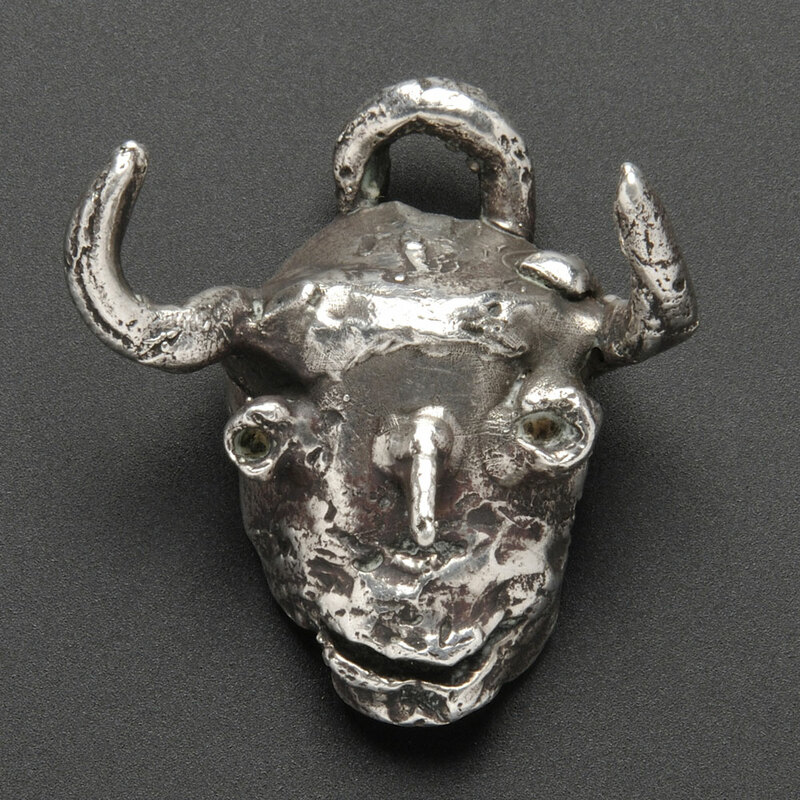 Fashion, as well as many other venues of design, has begun to blur the line between what is art and what is not; as jewelry is created and designed with many of the similar processes as sculptures and paintings, we would be foolish to not deem these pieces as a form of artistic expression. Jewelry can be the main visual event in any ensemble, fascinating the eyes and overloading the senses in a way that the David by Michelangelo may enthrall a museum patron at the Galleria dell'Accademia. There are so many artists and jewelry designers alike that have created wearable art that falls into neither (or both!) the fashion or fine art categories, creating a new form that appeals to all facets of the industry. Now you may be left asking “who are these designers?”, so we here at TalkingFashion have prepared a dazzling list of these artists that are sure to pique your interest and prepare you for the fast approaching MET Gala this May. You likely know this artist for his industry-altering contributions to the art world, but many people do not know he experimented with many different medias; from sculptures to jewelry, he was truly the jack of all artistic trades. His one of kind pieces are few and far between, and their eclectic composition and mysterious existence make these works highly sought after. His most popular motifs include satyrs, minotaurs, bulls, and bullfighting, with his other pieces including imagery relevant to who he created the piece for. This sculptor and jewelry designer has made huge waves in the fashion industry with his art jewelry and collaborations with Geoffrey Beene, Kansai Yamamoto, Calvin Klein, Anne Klein, Karl Lagerfeld, Michael Kors and Donna Karan. 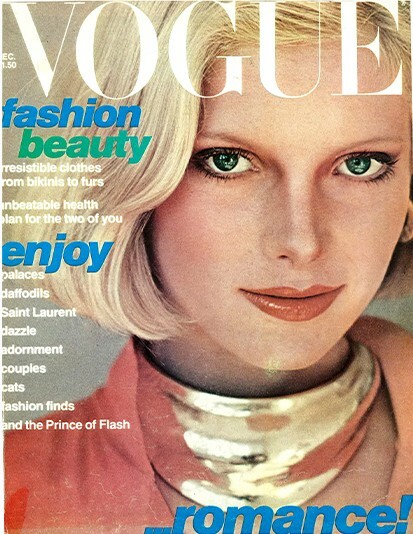 His true claim to fame was a 1976 Vogue cover; the magazine featured his work in their publication over a period of 7 years in 49 consecutive issues. He is the first fine jewelry designer to receive the first jewelry designer to ever be awarded the Geoffrey Beene Lifetime Achievement Award from the Council of Fashion Designers of America (CFDA), and his contribution to the art world has gained him many other high profile partnerships and industry nominations! As a pioneer of the cubist movement alongside the other highly revered artist-turned designer Picasso, Braque is considered to be one of the most dynamic artists of the 20th century. He treated his jewels as if they were miniature sculptures, with each possessing their own personality. He commonly including natural motifs that depicted humans, fish, horses, and birds, and were considered to be some of the most beautiful fine jewelry creations of their time. His most well-known collection uses the image of a bird in flight throughout multiple jewelry styles, and they bring in tens of thousands of dollars in auctions across the globe! Calder, who is most famous for his creation of the mobile, is an iconic sculptor who stunned the art world when he began creating his larger than life mobile jewelry pieces. His affinity for abstraction and casual grandeur shined through in his designs, and he created over 2000 works including pieces for famous friends Joan Miró and Peggy Guggenheim. His wire-shaped works are considered to be wearable sculptures and can take any look to a new level. If these artists have piqued your interests and you would like to see some of this art in action, check out this list of museums that will allow you to get up close and personal with these beautiful works! As we look to all of the fashionable spring birthdays coming up this season, we would be remiss to not celebrate the life of one of the fashions "boy wonders"; Marc Jacobs, born on April 6th, 1963, is an American fashion designer that took the industry by storm when he launched his namesake label in 1993. Prior to the launch of this emblematic brand, though, he was a fashion prodigy that did nothing less than stun his seasoned counterparts. Born in New York, Jacobs was raised with two siblings until the death of his father at the age of 7. His father's passing turned his world upside down and he eventually moved in with his grandmother on the Upper West Side in the wake of his mother's tumultuous new love life; it was here where he learned how to knit and his interest in fashion was encouraged to grow. At the tender age of 15, Jacobs began attending the High School of Art and Design and working at the sophisticated boutique Charivari. Here, he met the fashion designer Perry Ellis; Ellis became his mentor and facilitated the beginning of Jacob's fashion career. Following his graduation at the School of Art and Design, he enrolled in the prestigious Parsons School of Design as a standout student. He received the both Perry Ellis Gold Thimble Award and Design Student of the Year at graduation in 1984, and this success led him to design his first collection for Sketchbook for Reuben Thomas at just 21. At that time, he was also collaborating with executive Robert Duffy to create Jacobs Duffy Designs Inc.; this gave him enough financial backing to begin his own label, which earned him accolades as the youngest designer to win the Council of Fashion Designers of America Perry Ellis Award for New Fashion Talent (1987). In the following year, he was named the vice president of women's design at Perry Ellis, where his emblematic grunge collection started the edgy movement that essentially took over the '90s. 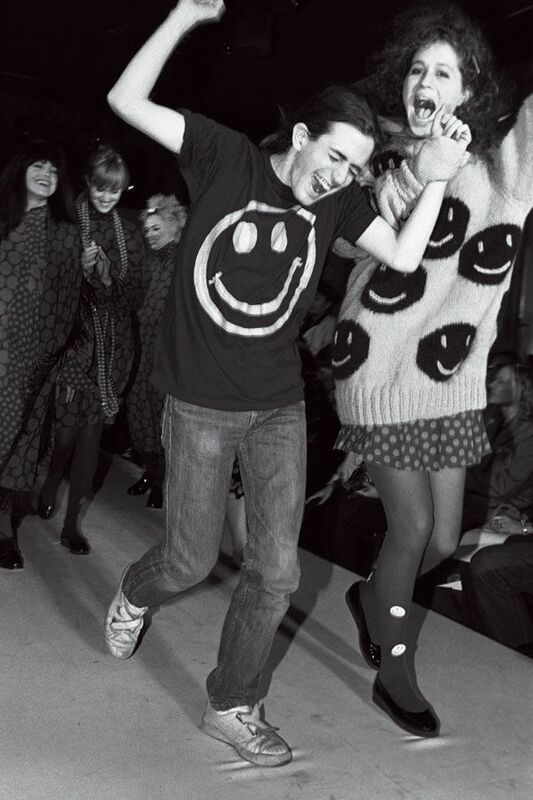 This grunge collection prefaced Perry Ellis's manufacturing shutdown in 1993, leading Jacob's to relaunch his signature brand, Marc Jacobs International Company L.P. After seeing immediate success, he began opening boutiques in 1997 and became the creative director for Louis Vuitton in exchange for financial security surrounding his fashion house. Despite the fact that Jacobs found great professional success with LV, his personal life slowly began to falter. He was at the helm of his addiction when the queens of fashion, Anna Wintour and Naomi Campbell, convinced Jacobs to seek help with the aid of other close friends in 1999. After finally getting clean, Jacobs returned to the industry stronger than ever when he launched Louis Vuitton's first ever ready-to-wear line. He continued building his company into an industry giant, expanding his products into menswear, womenswear, children wear, accessories, fragrances, and beauty. At the turn of the century, Jacobs was one of the biggest names in fashion; in 2002, he was named Menswear Designer of the Year, and Accessories Designer of the Year in 1998/99, 2003 and 2005. As the 2000s have continued, Jacobs has never failed to turn heads. Despite the fact that he stepped down from LV in 2013 and the closing of Marc by Marc Jacobs in 2015, he still remains at the helm of high fashion. His luxury label lives on, and so does his legacy! With wedding season well on its way, we wanted to take a look at one of our favorite elegant motifs in accessories for these upcoming warm weather months. Since pearls first made their way into the realm of jewelry, they have been the true symbol of class and superiority; seeing has how the pearl is the world's oldest gemstone with traces back to 420 BC, this elitist undertone has deep historical roots. In the Byzantine empire, for example, it was dictated that only the emperor was permitted to wear pearls with other societies having similar laws. Until the 20th century, pearls were considered to be one of the most valuable gems on the market all over the globe; prior to this time, all pearls were naturally found in wild mollusks, making them more rare and coveted than ever. In ancient Greek culture and at the height of the Roman Empire, pearls were worn on gowns, necklaces, and were even used to decorate furniture in wealthy households. It was even said that Cleopatra preferred pearl jewelry above all others, and she went as far as dissolving one of her most priceless pairs of pearl earrings in a glass of wine before drinking it! This ancient popularity led to pearls being extremely favorable with the monarchy; pearls of all shape and color varieties were widely sought after, and many were coming directly from the Persian Gulf. The 16th century in England was even referred to as the Pearl Age, perfectly reflecting the gemstone's prestige at the time. In the Victorian Age, seed pearls became more favorable than any of their counterparts on account of the fact that their small size made them perfect for jewelry and other accessories. They are typically no larger than 2mm in diameter, and they were widely associated with pure ideals. Royal love of pearls continued for generations, with Queen Victoria having an affinity for all things pearl. Prince Albert gifted her a pair of drop-style pearl earrings in 1847, and these are now owned and proudly worn by the reigning monarch, Elizabeth II. It wasn't until the late 1800s that pearls became a widely accessible material; in 1893, Kokicho Mikimoto discovered how to create cultured pearls, prompting the creation of over 350 pearl farms across Japan by 1935. This caused a widespread pearl mania that perfectly complemented contemporary culture all throughout the 1900s. 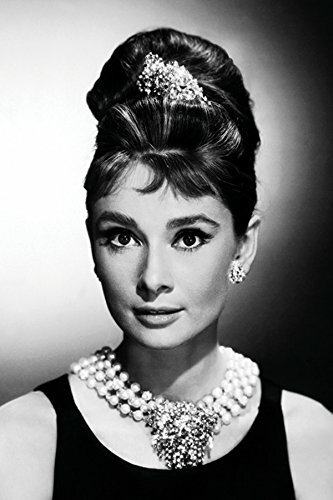 From Coco Chanel's iconic 1936 portrait to Audrey Hepburn's emblematic look in Breakfast at Tiffany's, pearls became a true symbol of luxury. This sophisticated aesthetic shifted with Alber Elbaz at the helm of Lanvin, where he reimagined the gemstones as a "cool girl" motif rather than something you would find in your grandmother's jewelry box. He truly spun their reputation into something journalists felt were "not like your mother's pearls", and the gemstone has been present in haute couture ever since. Now that we know the history behind the eponymous stone, its time to evaluate the types of pearls. They can now be produced in a variety of different ways, with each having its own special set of characteristics! Whether they are natural or cultured, they are formed when a mollusk produces layers of nacre around molecules inside of the shell. The quality of the nacre is what controls the level of the pearls shine, which can cause it to decrease or increase in value. High-quality pearls should be smooth and blemish free, with shapes ranging from round to misshapen. Misshapen pearls are considered to be baroque, after the art movement. Lastly, a pearl set in necklaces can be uniform with all pearls at the same size, or graduated, meaning they change uniformly from the end to the center. With this education in mind, let's take a look at the specific types of pearls on the market! Natural pearls are the rarest type, with many historically being found in the Persian Gulf. Though many have already been harvested, you may be able to purchase these small gemstones, but they will cost you a pretty penny! Cultured pearls are grown in farms, with the mollusks containing them being raised until they reach the point of being able to accept the mother-of-pearl bead nucleus. The pearl technician then implants the bead and returns the mollusk to water to form the gem. Not all cultured pearls are of high quality, and it can take tens of thousands of pearls to compile a group similar enough to use in jewelry. 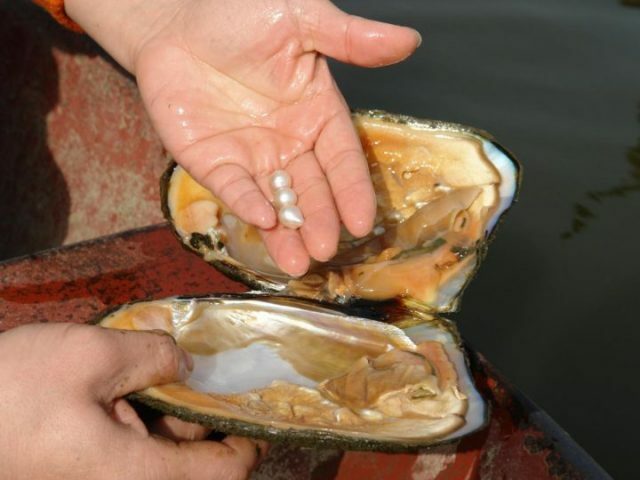 Many countries grow cultured pearls in their saltwater seas. Japan and China produce cultured pearls that can range from 2 mm to 10mm in size, and are usually white in color. Australia, Indonesia, and the Philippines produce the largest of all cultured pearls. They are considered the "South Sea pearl" and can get up to 20 mm with colors ranging from white to cream to gold. There are also saltwater pearls grown in the islands of French Polynesia, with their sizes ranging from 8mm to 16mm. They can be naturally black, but they typically can be gray, blue, green, or purple. Freshwater pearls mostly hail from China and are grown in lakes, rivers, and ponds all over the continent. Many are white and similar in size to Akoya pearls in size and shape, and usually, have a thicker nacre on account of them not having a bead nucleus. Imitation pearls usually have a high luster and are coated glass beads. You can tell these apart from cultured or natural pearls, but it may prove to be difficult based upon how the pearls were treated. For tips on how to analyze your pearls, click here! We hope that this gave you a better insight into all things pearls! We now have a little bit of pearl mania and if you do too, be sure to check out our selection of pearl accessories!